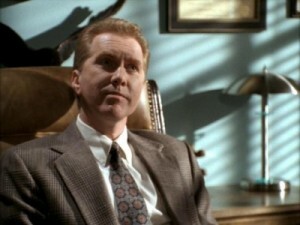 In “Buffy,” the mayor of Sunnydale was Richard Wilkins III, who was a sorcerer who made deals with demons to extend his life indefinitely and eventually become a pure-breed demon. Wilkins founded Sunnydale, California, in the nineteenth century as a place where demons could freely feed on the town’s inhabitants in exchange for being protected himself while selling his soul and gaining immortality. As his wife and family died, he would pose as his son and succeeding generations to maintain control of the town. The mayor still kept a clean-cut appearance and demeanor because of which he would forbid any swearing or uncleanliness in his presence. The mayor’s goal was to achieve “Ascension” during Buffy’s senior year and the graduation ceremony of her class at Sunnydale High School. After performing various rituals that made him invulnerable except in pure-demon form, the slayer made plans with the rest of the students to fight him during the graduation ceremony. After the mayor had transformed into a giant snake, he ate Principal Snyder and killed several students. However, his weakness proved to be Faith — the renegade vampire slayer who had joined forces with him and with whom he had formed a father-daughter relationship. 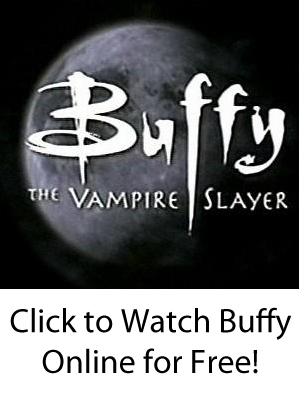 Buffy had stabbed her and put her into a coma during a fight, and Buffy taunted the mayor-as-snake by showing it the knife she had used to injure Faith — since the mayor had given it to her as a gift.